Ite ad Thomam Institute: "Aquinas' Reception of Albert the Great's Account of the Virtue of Religion"
"Aquinas' Reception of Albert the Great's Account of the Virtue of Religion"
Today I'd like to share with you, in the video below, something I'm currently working on. As part of my ongoing project on the philosophical account of religious worship in St. Thomas and his sources (which derives from my doctoral dissertation), I wrote the following paper titled "Aquinas' Reception of Albert the Great's Account of the Virtue of Religion." It was delivered at the 2015 Aquinas and the 'Arabs' Fall North American Workshop, which was held at Universidad Panamericana in Mexico City, October 2015. For work-related reasons I was unable to attend the conference physically, so I presented it remotely, via video. You can download a hard copy of the paper from Academia.edu. It is not-yet published, so I would appreciate your feedback, so I can polish it up and send it to a journal for publication. NB: It is not a lecture or discussion but an academic paper, which I read in its entirety for an expert audience. Please do not expect a flashy presentation with engaging voice inflections or even a catchy PowerPoint or images at all. The audience consisted primarily of philosophy professors and scholars, who mostly work in the field of the history of medieval philosophy; and this is the style in which we present our work in scholarly conferences. However, the paper is, I think, greatly relevant to a non-expert, traditional Catholic audience. 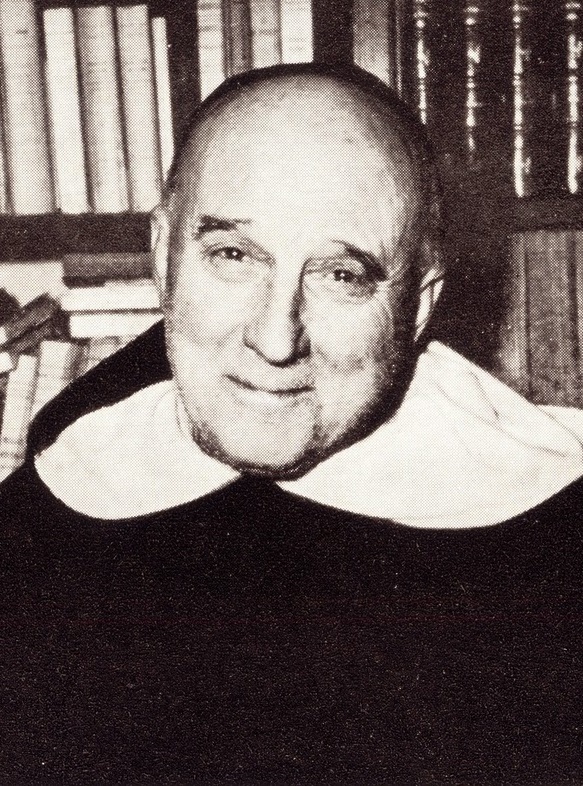 It will be of special interest to those who wish to acquire a more solid, profound, and coherent philosophical (and indirectly theological) understanding of the nature of Catholic liturgy, and of divine worship in general. 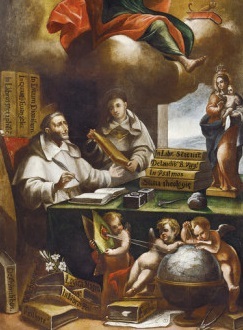 Given that the paper seeks to elucidate the Angelic Doctor's teachings on the matter, particularly as compared to that of another great Doctor of the Church, St. Albert the Great. Abstract: Recent studies have focused on diverse aspects of Aquinas’ philosophical account of natural religion. Few, however, have delved into Aquinas’ use of his sources, especially his more immediate predecessors, in dealing with this topic. This paper seeks to make a contribution in this regard by showing how Albert, his teacher, addressed these questions and prepared the way for Aquinas’ more sophisticated account. The paper aims to shed light on some of the decisions that Aquinas had to make when faced with Albert’s account of latria. Aquinas seems to think that Albert’s arguments settle some issues; but surprisingly he often disagrees with Albert and offers alternative approaches. In particular, we see that for Thomas, Albert settled definitively the question on how religio or latria is to be entirely categorized under the virtue of justice, following the authority of Cicero, and not under the theological virtues, as earlier predecessors had suggested in light of Augustine’s teachings—an issue that has important ramifications for the very possibility of a philosophical account of religious worship. But we also see how, for example, in Aquinas’ mind Albert does not quite offer a satisfactory account of the range of action of the virtue of religion: whereas for Albert there are many virtuous acts that are entirely outside of the virtue of latria, for Aquinas any act of a moral virtue can become also a ‘commanded’ act of the virtue of religio. Ultimately, the paper highlights both the originality of Aquinas’ account of religion and his debt to his master Albert on this issue. Download a hard copy of the paper and handout (among other things) from my Academia.edu page.